A few educators were beginning to grasp what Buisson was talking about. 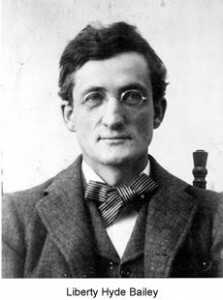 Liberty Hyde Bailey, a naturalist at Cornell, was offering nature studies to young people in the 1890s that closely resembled 4-H work of later years. 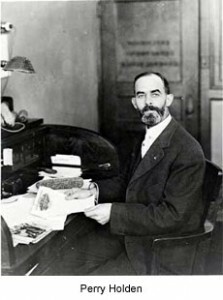 Perry Holden, known as the father of hybrid corn and the nation’s first agronomist, first at the University of Illinois and then at Iowa State College, was almost evangelical in his quest to get small businessmen and bankers involved in financially supporting young people with project loans. At the turn of the century, a few superintendents of schools and some of the landgrant colleges were coming on board. 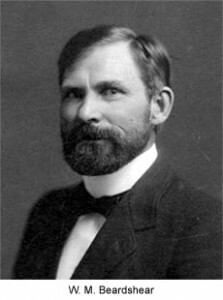 In 1902, W. M. Beardshear, President of Iowa State College and President of the National Education Association, gave a speech on “The Three Hs in Education” and stated “We are coming to embody Buisson’s definition of education, and harmoniously build up the character of the child.” Yet, there was no organized plan, no organized movement. It seems almost as if it happened through “little clusters of people” standing around talking about these three Hs, nodding their heads up and down and saying, “this is a good idea,” but it was moving ever so slowly. What they drastically needed was a great public relations person, a person who could present their case to the media. But 4-H promotion and visibility was not yet on the horizon. This entry was posted in History and tagged 4-H History, Early 4-H Education by Larry Krug. Bookmark the permalink.